I don't consider myself a perfectionist - who has time for that? But I looked at the few photos I had taken on this day & said to myself, "Meh." Which sent me on a quest for something better... which led me to the pile of uneaten fortune cookies on the kitchen counter... I think I opened three before I found this one. Bingo! Ha! I like that -- "perfectionist wanna-be"! 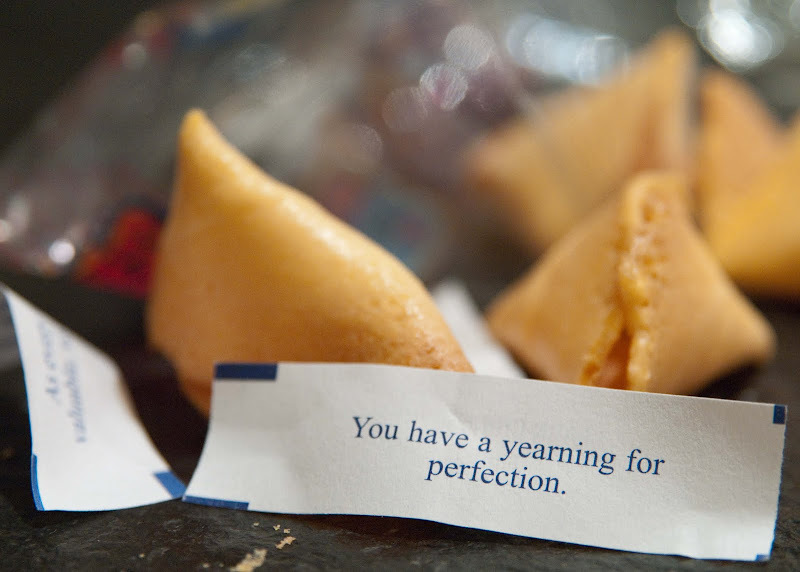 I mean, we all *yearn* for perfection, right? Who wouldn't? Great story and photo to match!